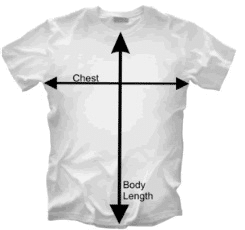 Please confirm your shirt sizing using the chart. Measurements are available in inches and centimetres. 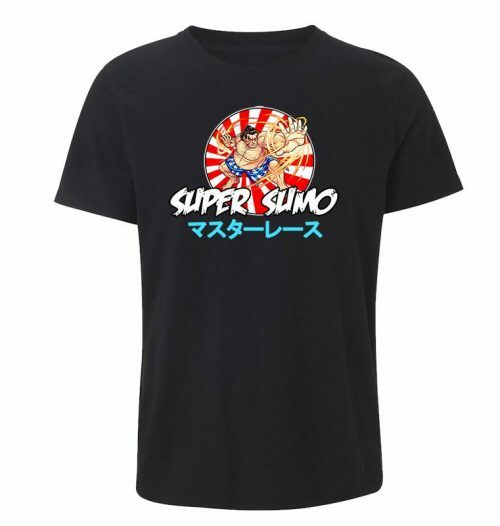 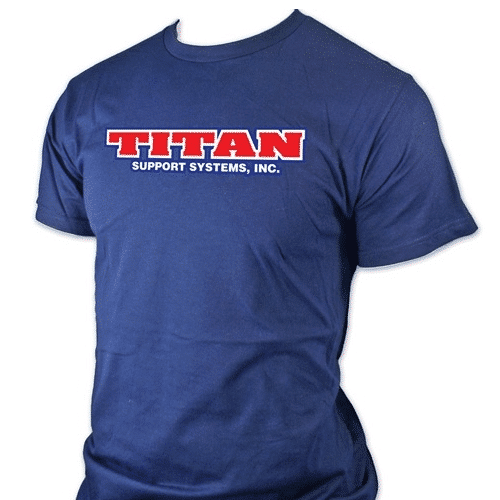 if you are unsure of sizing, please contact us. 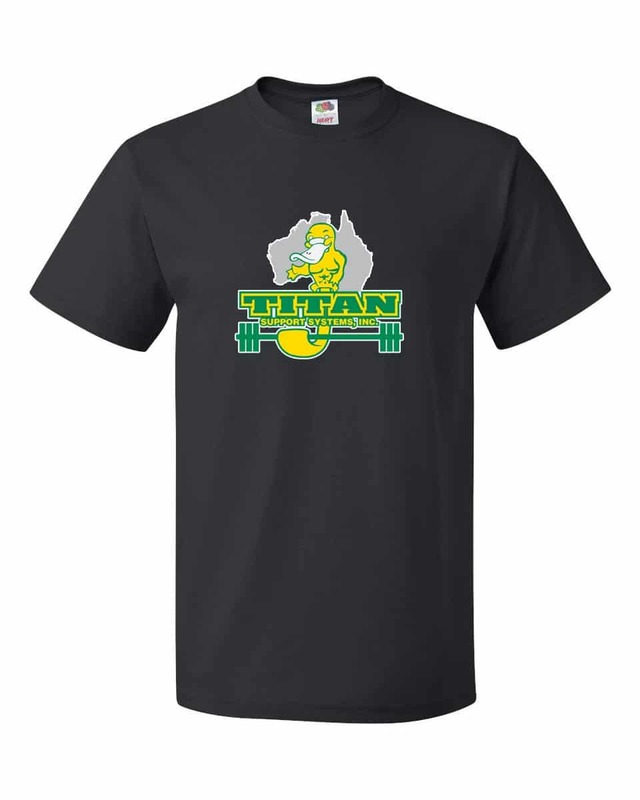 High density HD Titan Australia T-Shirt. 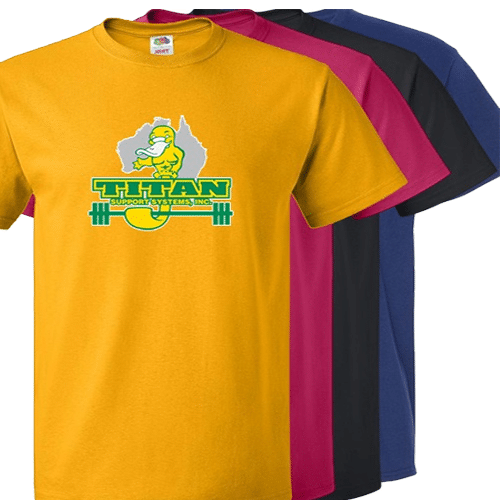 Available in Gold, Cyber Pink, Royal Blue and Black. 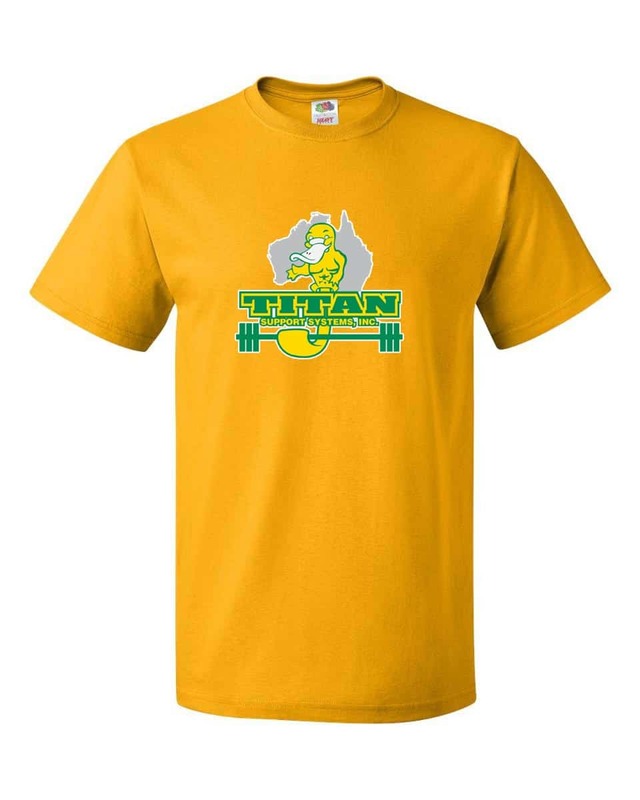 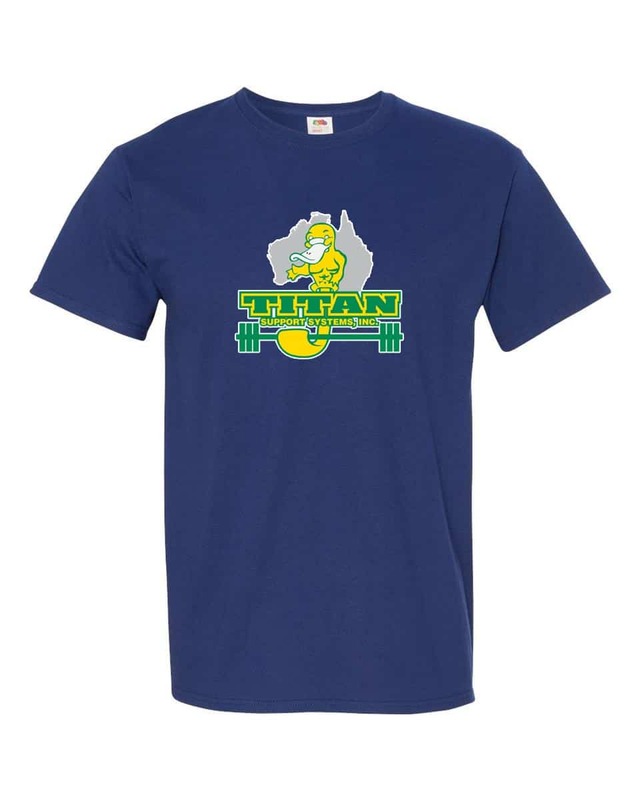 This Titan Australia T-Shirt is made of high density fabric and is 100% preshrunk cotton for optimal comfort and longevity.